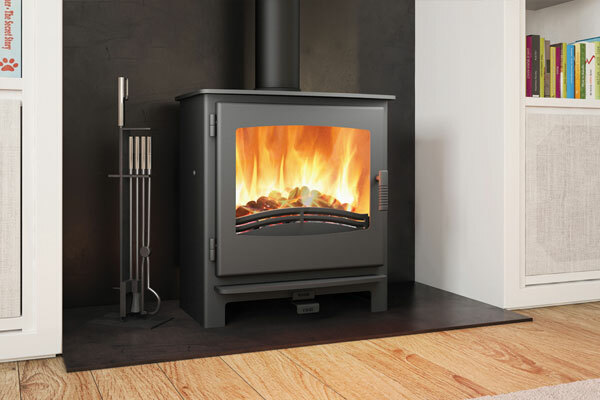 This all-steel stove is designed for all-round impact. 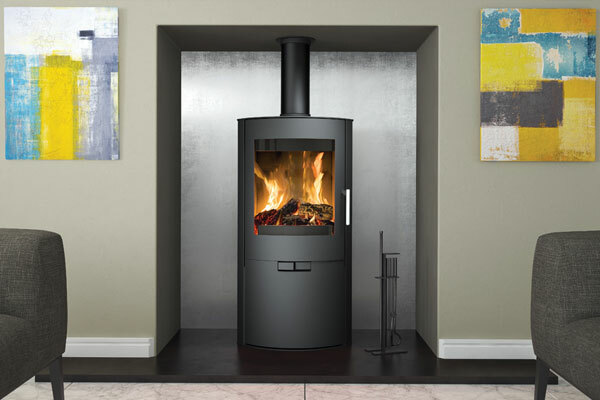 In Metallic Black finish with chrome handle and portrait shaped large viewing window, it provides a contemporary twist to the woodburning tradition. 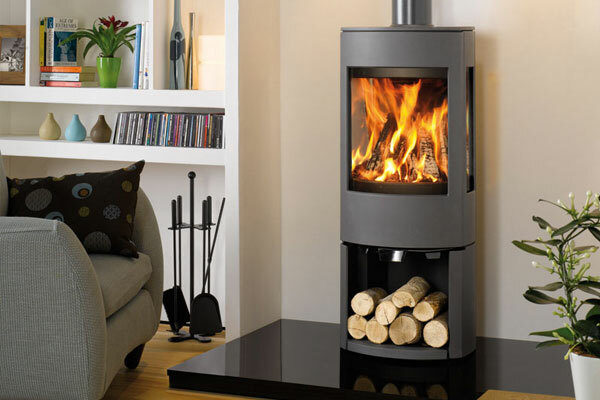 With curved contours it can radiate a powerful 8kW worth of heat quickly throughout a large room or open plan ground floor. Opt for the open fronted integral log store for the designer interior look with patterns made by variegated cut log ends; or choose the log store with door option for a more sleek look. 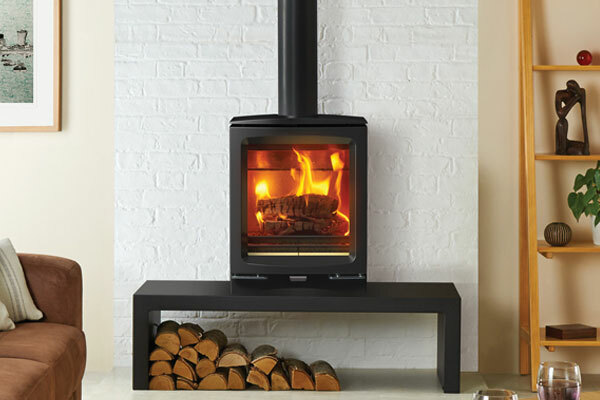 Although it’s a woodburner, it has two air controls – primary to help it light, secondary to keep it blazing.